Greetings you narrative noodlers, and welcome back to another edition of Canon Fodder. It’s been a busy week behind the scenes lately so our lighter portions continue, but seeds are being planted, soil tended to, and rows carefully watered. Here’s hoping that the eventual fruits of our love-laden labors taste sweet upon your yearning tastebuds. Last week we tossed some much-desired attention over the Brutes’ way, highlighting the backstory behind the ultimately tragic tale of a Chieftain challenger. This week we’re switching up the normal way of things and providing a bit of a different flavor of character angle – multiple angles in fact. Oh, and there was that thing that many of you saw over the weekend. Might as well get that out of the way first, eh? 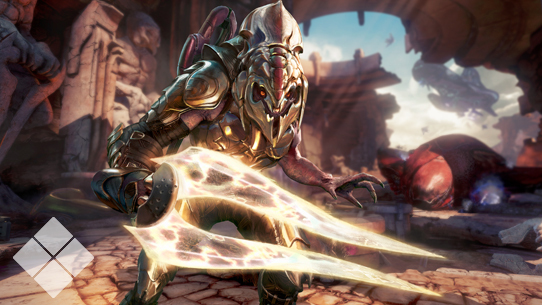 Bewildered buzz bridged two Xbox franchises this week during the Halo World Championship Tour at X Games Aspen 2016 when Killer Instinct’s latest character tease seemed to imply the impending inclusion of a particularly popular character from our own beloved universe. We can’t officially confirm who it is yet, but it’s highly likely that it starts with “A” and rhymes with “Marbiter.” Other than that, you’ll get no more hints from me! Seriously though, trust me when I say that it’s something that I’m personally very eager to talk more about, and talk more we shall. Today is not that day, but soon. In the meantime, you might as well watch the tease over again and see what details you can pick out before we properly blow the lid off this project in the near future. 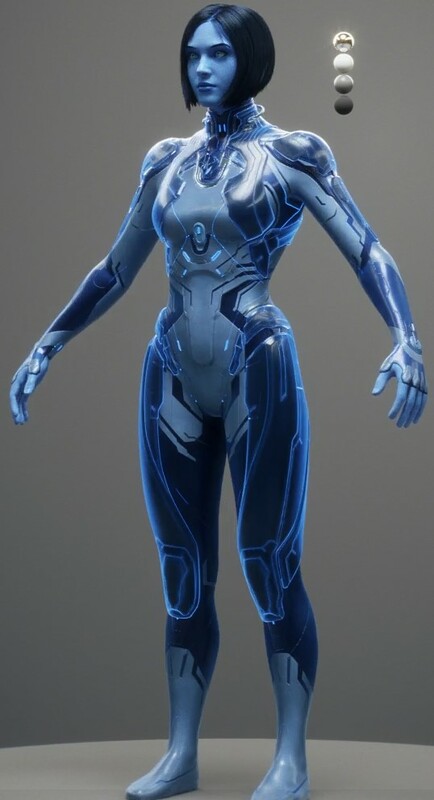 On the Halo Waypoint forums recently, a couple of community members were inquiring about character reference material for Cortana, specifically regarding the evolved way she manifests as in Halo 5: Guardians. I thought it sounded like a pretty good idea so I sent up the signal flares to some of the talented folks in the game and art department to see what we could pull together. The result is a pretty solid collection of renders from multiple angles that we hope fans will find useful as reference material from everything from cosplay to fan-art. As a bonus, I spammed 343 Industries’ Brian Reed and Tim Longo with infuriatingly annoying internet memes until they provided some cool contextual nuggets to pair with the aforementioned art assets. 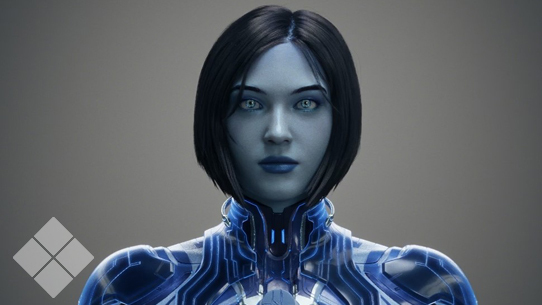 GRIM: How does Cortana’s new looks fit her evolution as a character from earlier Halo games? 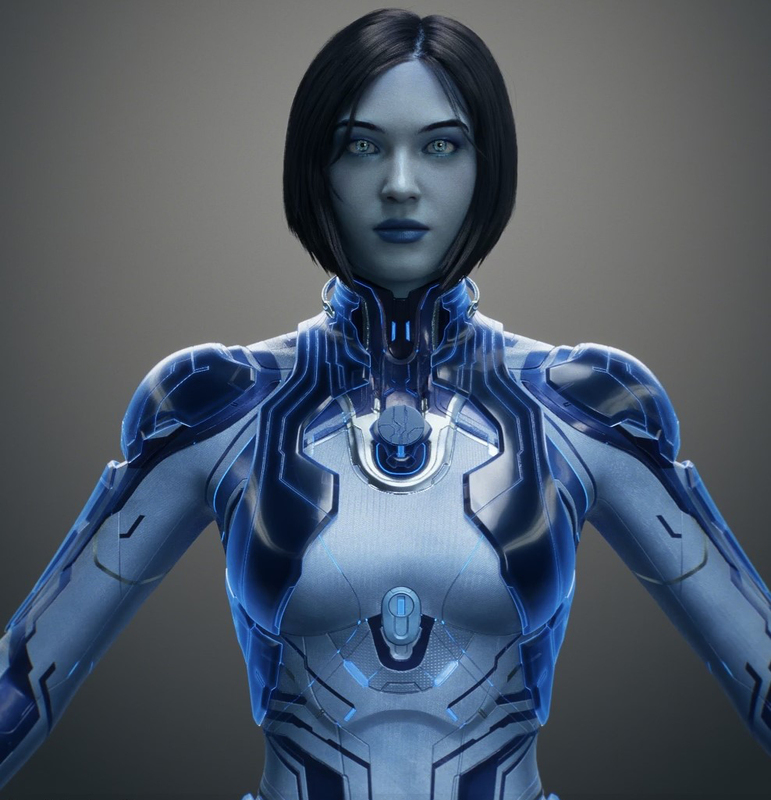 TIM: Cortana has always been very soft in appearance and almost deceptively “vulnerable” in some ways. When she took the Mantle and declared herself, basically, the ruler and caretaker of the galaxy, we wanted to also update her look. BRIAN: And from a fiction standpoint, it’s not actually a stretch, particularly when you take into account the myriad of new abilities she gains thanks to her access to the Domain. In the first draft of the ending she was going to wear a flowing gown, have long hair, etc. She'd be very regal, very “powerful high queen." Very obviously different than she was. 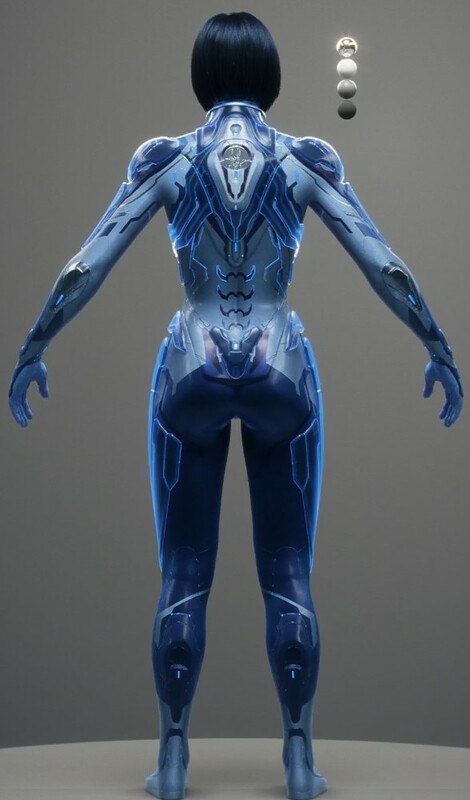 TIM: When Chief first sees Cortana again he says "You've changed" and that was both as a reference to her appearance and to her behavior. 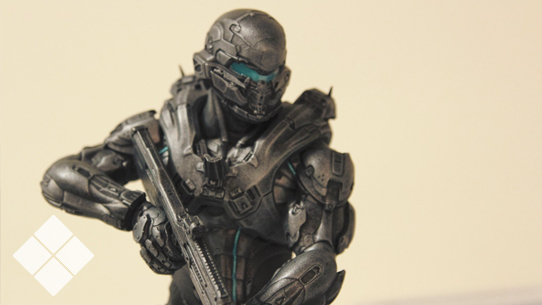 GRIM: Were there any specific inspirations, whether in-Halo or out of it, that inspired particular details? BRIAN: We talked at first about how she might model herself to be more like a Spartan, since she'd go for the greatest symbols of strength that she knows. TIM: And that led to discussions about maybe she would assume a Forerunner design. We really show that she was leaning on her past with John and her future as holder of the Forerunner's Mantle. So we started by layering new ideas on top of her design from 4, trying to build on who she was while also showing who she had become. BRIAN: The big moment for me was when one of the artists, and I think it was on the Axis side, worked the Forerunner's Eld symbol into the design. The Eld is the visual representation of the Mantle, so having her wear it was a nice way of having her own it too, from a symbolic standpoint. GRIM: Speaking of Axis, how was the process working with them? TIM: Axis is phenomenal. Great work. BRIAN: I first got to know them during Halo 4 and Halo 4: Spartan Ops. They came back for this scene, as well as the opening and closing scenes. 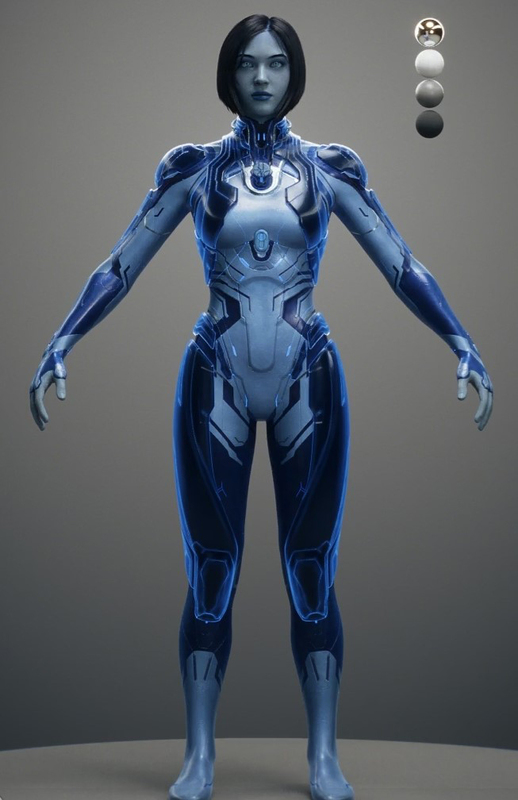 TIM: The Cortana work for the cinematics was all preformed and captured at Profile/WB in Los Angeles. Profile then made adjustments to the face shapes with feedback from our character team and Axis. Final facial animation tweaks were then done by Axis animators with direction from Steve Dyck and Brien Goodrich here at 343. GRIM: Any thoughts on being excited about how the community might be able to use such references; cosplay, fan art, etc. TIM: I'm excited to see what our fans can do with these references. We've met plenty of body-suit Cortanas in the last few years, and they're always amazing with the blue makeup and the wigs. BRIAN: I met one woman who dyed her hair blue just for the costume. That was either Halo Fest or San Diego, I forget. TIM: Really? Like, instead of just a wig? BRIAN: Dedication to the art, man. I love it. I hope this new design gives the cosplayers new elements to be excited about. I don't know how they're going to pull off the glowing hard light armor bits. TIM: I hope someone just goes nuts and sets up like LEDs and fiber optics and they just go for it and do the full glowing armored thing. As do I, Mr. Longo, as do I. And with that, we sign off for this week. Before we go though, I wanted to give a quick shout out to a new community-run Facebook page dedicated to Covenant-centric Halo canon called coincidentally enough, Covenant Canon. If Halo's theocratic alien empire is up your alley, give their page a look!. As for us, tune in next time for more story slivers from our favorite fiction fount, and have a great weekend! Until next week… Live well, play Halo, and don’t expect to find cryptic clues hidden here every week. 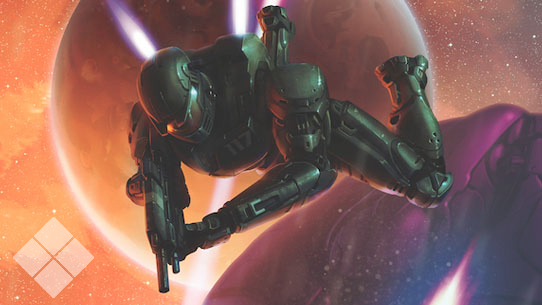 This week in Canon Fodder, we look at an extended backstory, answer a few questions, and cover collected comics. This week in Canon Fodder, we look back on an epic community effort, revisit on old favorite, and continue hunting the truth.